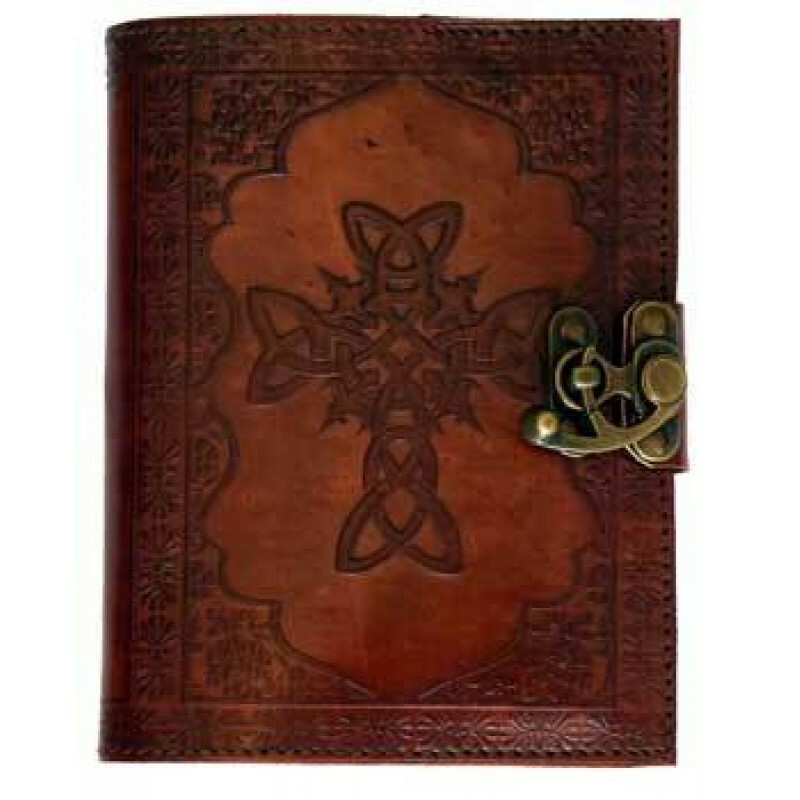 A simple but handsome leather journal closed with a simple metal latch, Contains 120 pages of blank, handmade, linen parchment paper. 5" x 7", (made from goat leather). 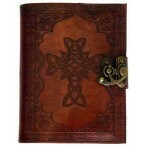 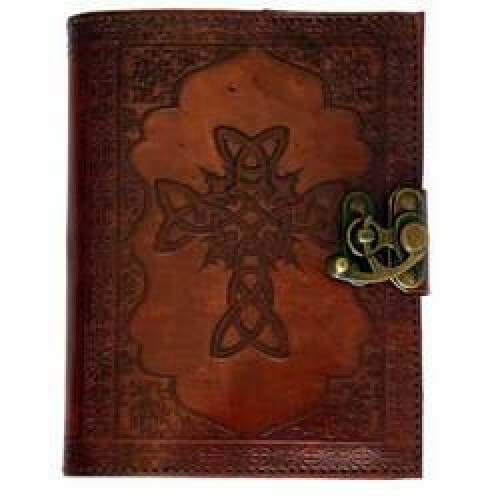 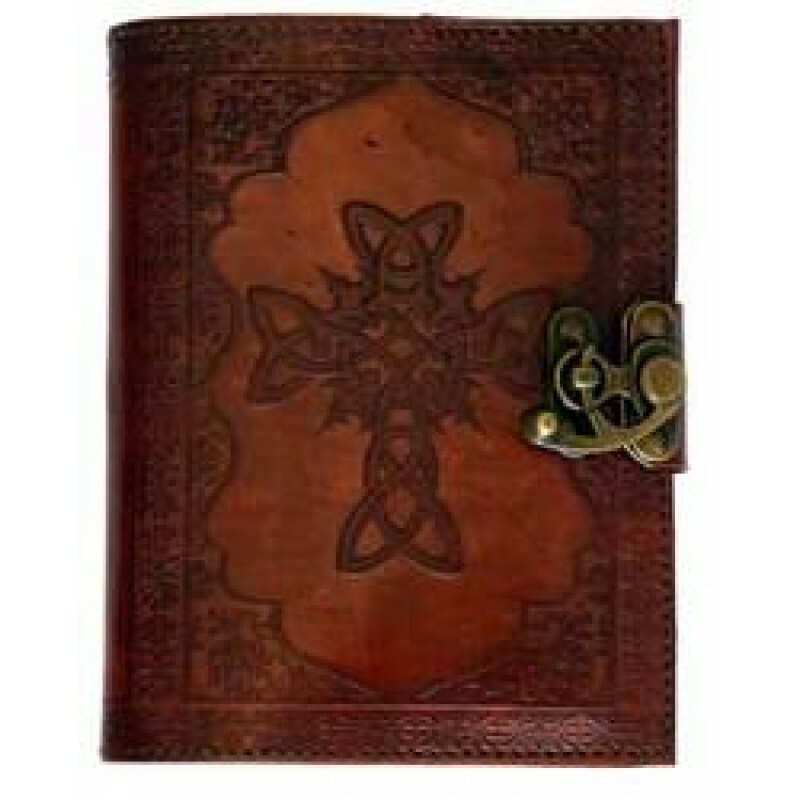 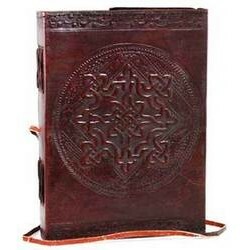 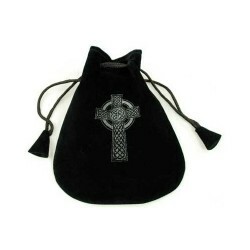  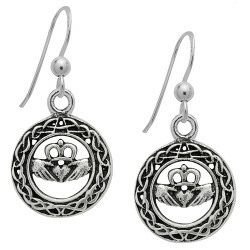 Framed in intricate borders depicting foliage and leaf work, the Celtic Knot leather blank book feat..